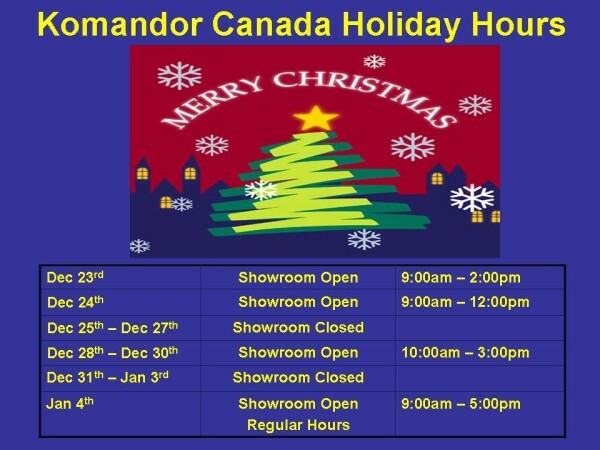 Please be advised of our Factory Showroom schedule during the Christmas Holiday Season. December 23rd: Open from 8am – 2pm. January 4th: Showroom Open from 8am to 5pm.